The term ‘wellness’ has come to mean many different things, be it spa treatments and massages or yoga and hiking. Whatever it means to you, there’s no need to let a holiday get in the way of a healthy lifestyle. Here are five retreats offering a range of wellness experiences, from running in the wild to blissful spa therapies. Yoga at Ol Donyo, Kenya. On the east coast of Mauritius, SALT of Palmar goes beyond the usual beach resort design, with an array of activities that allow guests to workout whilst exploring the island. Hop on a fat bike and cycle to a nearby market; join a sunrise yoga and meditation beach walk; or head into the hills to an invigorating hike. The wide-ranging menu includes loads of tasty veggie and vegan dishes and fresh juices, whilst the spa is the place for a more relaxed style of wellness: after a foot scrub and massage, unwind in the salt room, where salt bricks release restorative particles into the air, great for your skin and respiratory system. The salt room at SALT. The Wild Studio Yoga retreats introduced by Ol Donyo Lodge aim for guests to have a more holistic experience of being in the wild. 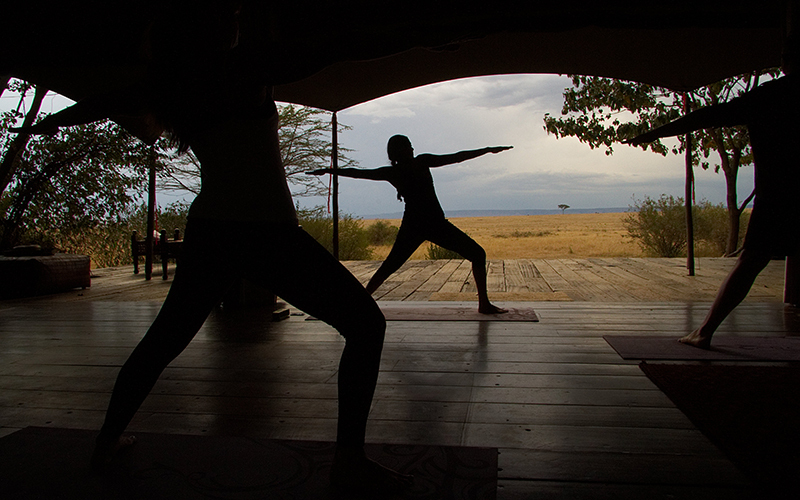 Overlooking Mount Kilimanjaro, guests can partake in sunrise meditation and yoga sessions. The day then pans out much as a normal safari does, but with some tweaked experiences, such as silent bush walks (tapping into the trend of ‘forest bathing’, a Japanese practice of mindfully soaking up the sounds, sensations and smells of nature). Either side of yoga workshops, you can also explore the area by bicycle or horseback. 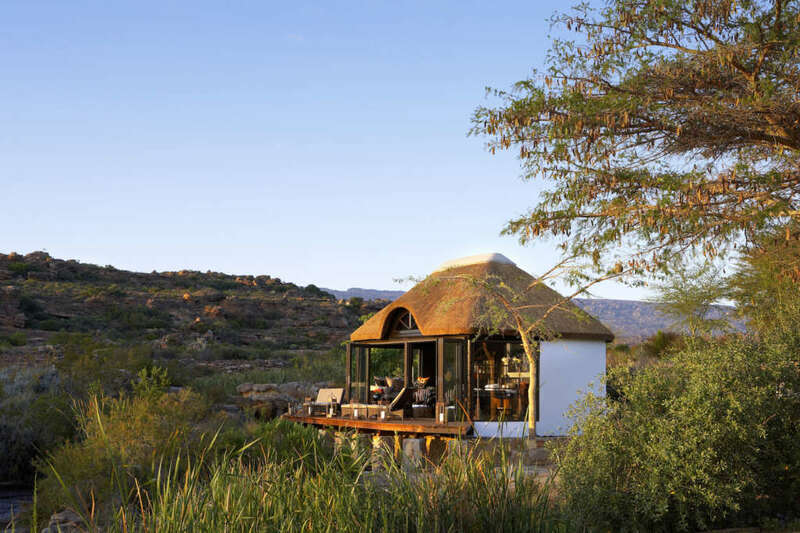 One of South Africa’s top wellness retreats, Bushmans Kloof is tucked into the scenic foothills of the Cederberg Mountains, around three hours outside Cape Town. The award-winning spa has an outdoor gazebo where guests can unwind with massages surrounded by the sounds and smells of nature. 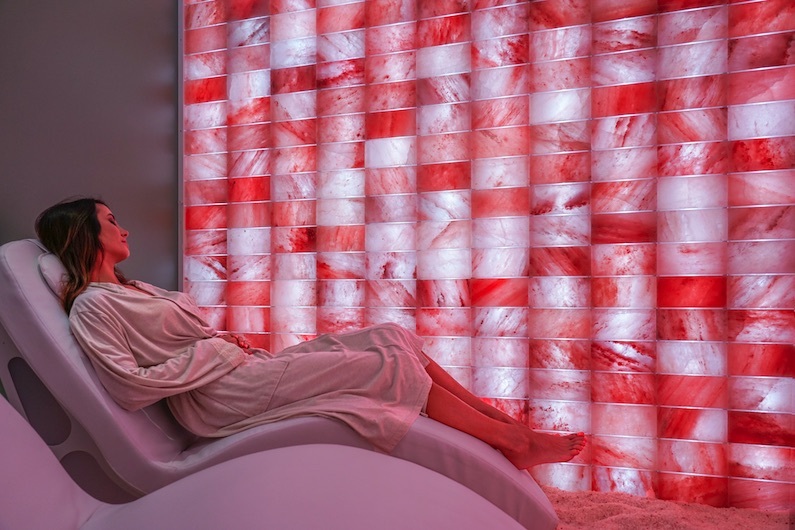 Decompress in the crystal steam room, with its pure rock quartz block and then cool off in the tranquillity lounge. The health bar is stocked with organic fruit from the gardens, herbal tea, fresh juices and other healthy snacks. Hikes, bike rides, wild swimming and canoeing are all available too – the most wholesome ways in which to immerse yourself in nature. The riverside spa gazebo at Bushmans Kloof. For avid female runners, Singita has the ultimate safari challenge. The first annual Serengeti Girls Run was held last year: a three-day, all-women, 30-km (19-mile) or 90-km (56-mile) run across the Serengeti. The fundraiser supports educational programmes for future female leaders in conservation. 20 runners – all levels welcome, you can run as fast or as slow as you like, as long as you make it to the next Singita camp by nightfall! 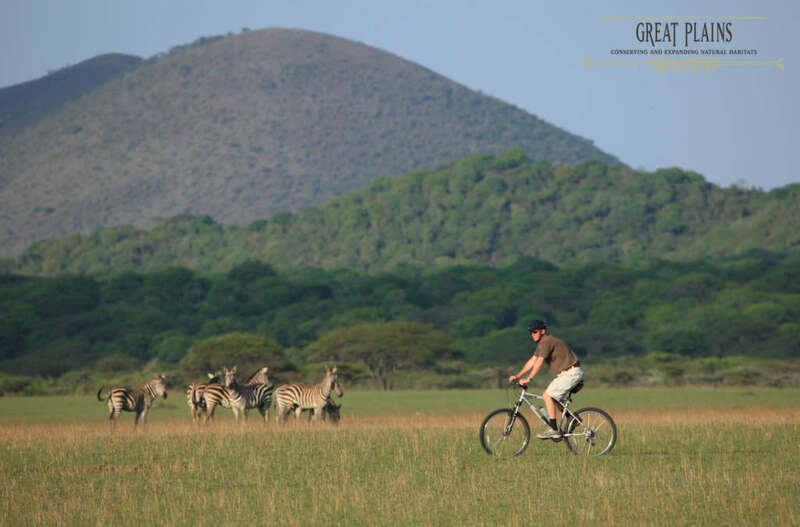 – spend three days running across the plains, supported by vehicles, meeting local girls who will benefit from the programmes, and visiting the Grumeti anti-poaching team. A fitness safari that gives back? It doesn’t get more enriching than that. 2018’s Serengeti Girls Run at Singita Grumeti. Wellness is a big part of the Segera experience. 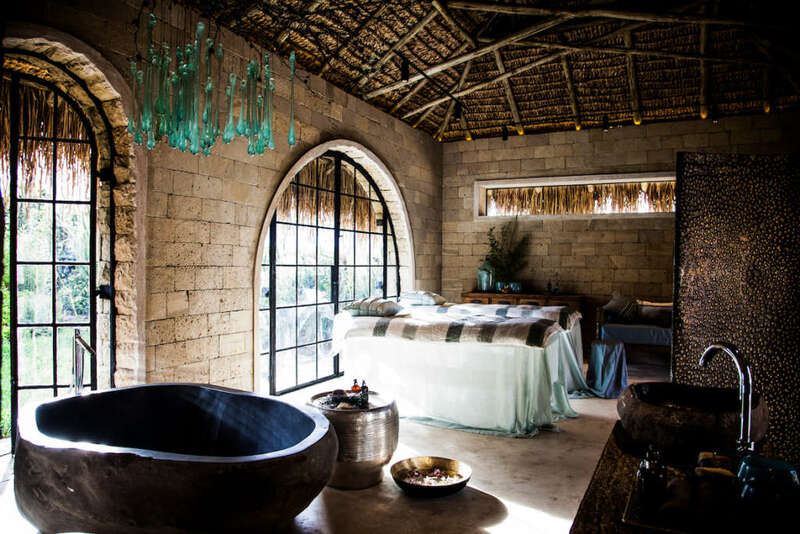 On the Laikipia Plateau, Segera offers spa treatments with elements from local ceremonies, such as rock bathing with sage, lavender and camel milk, whilst the oils used in the spa are mixed with fresh herbs from the garden and scrubs are made with local spices, salt and earth. The swimming pool is filled with reviving salt water and guests can sweat out their toxins in the Rasul steam chamber. Yoga and Pilates sessions take place outdoors, in the gardens or on private wooden decks. All this in addition to the healing, uplifting effects of simply being in the wild. Bring your wildest dreams to life – contact Ashworth Africa to start creating your bespoke safari vacation.